Upon your arrival at the capital airport, your local guide will greet you outside the customs of the airport, and then a comfortable transfer will take you to the reserved hotel for a good rest. The remaining time of the day is left free for you to revitalize from the long journey. After enjoying a rich breakfast, you will meet other group members for the coming trip at the hotel lobby. Your first stop of your 9 days China tour package is the world famous Tiananmen Square, the largest city square in the world. Next we go to the Forbidden City where you can sense the vicissitude of our once feudal country. You will have a glimpse of the luxurious royal life from the splendid palaces, delicate decorations and precious cultural relics. You will enjoy an a la carte welcome lunch (valued at CNY150.00 per person and included in our price) at a superb local restaurant, which also serves the famous Peking Roast Duck. After lunch, continue history appreciation at the Temple of Heaven. The highlight of the evening will be a brilliant Chinese Kung Fu Show presented at the Red Theater. The highlight of today's trip is a visit to the Great Wall. 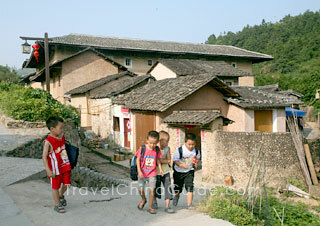 The part we will visit is Mutianyu, one of the best-preserved sections of the winding wall. It used to serve as the northern barrier defending the capital and the imperial tombs. To keep your strength up for a bit hiking on the wall, we arrange the round-trip cable car for you. Since the food offered in the restaurants there was not well spoken of by our former clients, we would like to leave it on your own and advise you have some fast food around the site. In the afternoon, we drive back to the city. When passing by the Olympic National Stadium, also known as the Bird's Nest, we will make a short stay for you to take photos of this wonderful building. Before driving you back to the hotel, you will enjoy some time to explore a nice local market. This morning's excursion will first cover the Summer Palace, the largest existing royal garden in China. Constructed over 200 years ago, it is famous for the magnificent buildings and charming landscape. 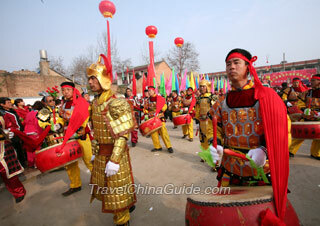 After that, you will spend some time to experience the old Beijing history and special culture in the old Hutongs. A folk artist in Hutong will teach you to make Chinese Paper Cutting. It will be quite an interesting experience. You will be entertained with an a la carte lunch (valued at CNY150.00 per person and included in our price) at a noted local restaurant. 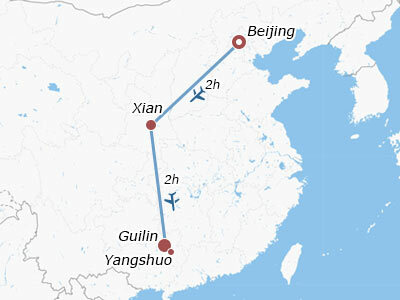 An afternoon flight will take you to the second destination of your 9 days China itinerary, Xi'an. Landing in Xi'an, your local guide and driver will meet you at the airport and take you to the hotel. After a big breakfast at the hotel, head to the Terracotta Army, the amazing underground project built more than 2,200 years ago. Then we have a local family visit with the home cooked a la carte lunch (valued at CNY120.00 per person and included in our price). It is quite special and exciting that you come to a foreign country, learn how to cook the local food and dine with the local people in their family. In the afternoon, continue appreciating the city's long history by visiting the Small Wild Goose Pagoda and Xi'an Museum. Your evening will be enlightened by the Tang Dynasty Music and Dance Show while partaking of the traditional food, the dumpling dinner. The first stop today is the City Wall Park, where many local people are singing, dancing, chatting, playing chess, playing instruments and etc. It is the best place to approach the local life. Following the local people and our Tai Chi Master, you will have a Tai Chi practice in the park. Then, you will go on a visit to the well-preserved City Wall. It's very popular among visitors to cycle on the top for a whole circle to have an overall perspective of the city. You may also have a try if you like. The rent will be on your own. After an a la carte lunch (valued at CNY120.00 per person and included in our price), you will be transferred to Shaanxi History Museum, the symbol of Chinese long history and rich culture. Later a visit to the Great Mosque is scheduled. For those who love collecting souvenirs and gifts for families and friends, the Muslim bazaar beside the mosque is a wonderful place to go. 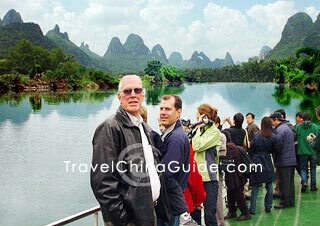 Continue your 9 days guided tour of China to Guilin. You will take a morning flight and the local guide will welcome you at Guilin airport and transfer you to check in at the hotel. The rest of the day, you will be taken to visit the Reed Flute Cave, a spectacular world of stalagmites, stalactites, stone pillars and stone flowers created by carbonate deposits, and the Elephant Trunk Hill, the emblem of Guilin city. Today you will have a chance to appreciate the supernatural landscape by cruising on the Li River. The cruise will depart from Guilin at 09:00 and arrive at Yangshuo at about 14:00. The box lunch provided by the cruise company today may not meet your expectation, so we suggest you have a big breakfast at the hotel. Yangshuo is an essential representative of the charming landscape. The West Street is regarded as the beating heart of Yangshuo. When you arrive at Yangshuo, our guide will take you to the West Street for a leisurely stroll. Then you will be transferred in the countryside area to enjoy the rural scenery. On the way, you will visit a local peasant's home. After that, get back to Guilin by car. Today you will make your own way from hotel to the airport and board your onward flight. We wish you a nice trip home. If you need us to arrange the departure air tickets or a subsequent travel, we will be glad to be any of your assistance. Very good service! 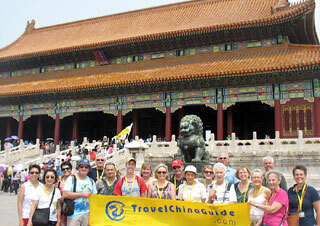 All of the staff of TravelChinaGuide is dedicated to make the tour very enjoyable. Thank you. I have just returned from my trip to China. 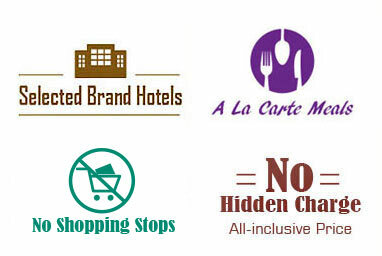 I wanted to say that my tours with this company were FANTASTIC! They were well organized, well conducted and very exciting. Both of the guides were superb. I will recommend TCG’s group to all my colleagues that are planning trips to China. I have just completed the 9 days tour of China and could not be more pleased. 1. All of the meals were a delight. I ate healthier than I ever have. The only criticism I would have would be that there was too much food even for a group with 12 people. We just could not eat it all. 2. Our three guides; Juliet, William, and Shirley were wonderful. They were very knowledgeable and went out of their way to fulfill our special requests and to make our trip a fun experience that we will never forget. 3. All of the cars were very clean and comfortable, and the drivers were extremely good at maneuvering through the heavy traffic. They were very friendly also. I enjoyed my trip in Xian very much. Miss Carol is a great guide, very attentive, very flexible, and very pleasant! She is really a great ambassador for your company. All in all we had a great time. We would first like to comment and compliment our guides; if we could have gotten them in our luggage we would have just taken them home with us. They were wonderful. Their knowledge was impressive and they always said: "I'm sorry, I don't know" when they were unsure of an answer; which we really appreciated. The transportation was excellent and the drivers were always pleasant and helpful. We thought that the time spent in each area was adequate. There is so much to see, study and learn. We thought the time was very well balanced. Now, let's get to the serious part: the meals! I gained eight (8) pounds! So let's just leave that subject right there. 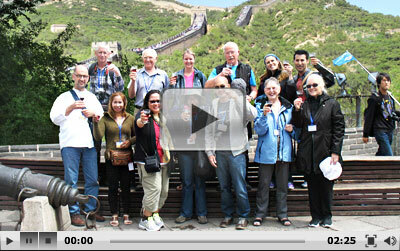 We recently returned from a 9 days group tour organized by Travel China Guide. Our consultant Nicole was perfect. She answered all my questions very promptly, gave us advice on a lot of things, and when our computer rejected her E-mails as spam and I got into a panic, she actually phoned me and we sorted the problem out. We will recommend TCG to all our friends. We were happy with the time spent at sightseeing spots. The traffic in Beijing took a lot of our time. The program was very full, but we found everything very interesting at all the sightseeing spots, throughout the trip. The restaurants were all excellent and so was the service and food. 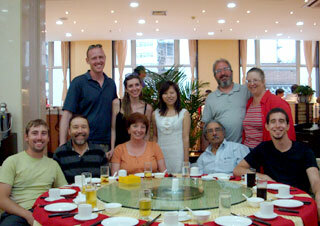 We found that the guides went to a lot of trouble to introduce us to the Chinese cuisine of the area we were in. In the beginning we found the food different from what we are used to, but we soon started to enjoy the variety of dishes and found favorites that we looked forward to eating. We found all the guides very knowledgeable and enthusiastic about their regions and cities. We were not disappointed with any of the guides. They all work very hard and are very patient. Each guide did their best to teach us some Chinese words, share some Chinese humor and traditions, and even told us about their own families and homes. The guides created a happy and warm atmosphere, which contributed to our enjoyment of the whole tour. 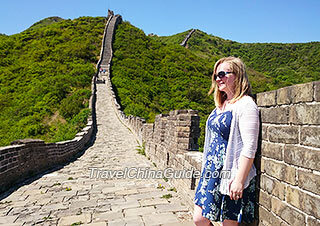 Sara was our first guide and charmed us with stories and legends of China. She kept us busy when we were stuck in the traffic. Ruth was so passionate about her region and city that we could not wait to see more of this amazing country. Frank was utterly charming, walking in the rain in the Seven Star Park, taking us to the beautiful show in Guilin, and singing and reciting poetry to us on the bus. Hao in Shanghai was very helpful to us personally, by helping us locate items that we still needed to buy. As a guide his pride and knowledge of his city impressed us. The drivers were all very good with driving in heavy traffic and sometimes on narrow and difficult roads. The busses were all in a good condition. Some drivers were friendlier than others. The driver in Xi’an was very helpful, the bus was clean and he was always friendly. All the hotels were good to excellent. Breakfasts in all the hotels were excellent. Can I bring beef jerky from U.S. to China? From my personal experience, cooked meat is forbidden to be taken into China. To be on the safe side, I kindly suggest you don't take beef jerky from US. Where do we meet when we arrive in Beijing? Upon your arrival at Beijing airport, our guide will greet you at the airport exit. After going through the luggage claim area and getting to the exit, you will see our guide holding a welcome board on which signs your name. We will be glad to help you to extend your tour to Shanghai and Hong Kong. For more details, please feel free to contact us. Thank you. For your convenience, you are advised to take airport shuttle bus line 7 and arrive at the West Railway Station directly. The ticket fare is CNY30 per person. Do you happen to know if TD bank debit cards are accepted at Chinese ATM machines? As far as I know , the debit card is not accepted to draw cash from ATM machine in China. Or there will be high service fees charged. It is convenient to draw cash with your visa/master credit card. You are kindly advised to double check with your TD bank. Can I get halal Muslim food? Yes. In most Chinese cities, there are halal Muslim restaurants. If you join with the group, you may let your travel consultant know your dietary requirement, and they will be willing to help you make relevant arrangement upon your request.